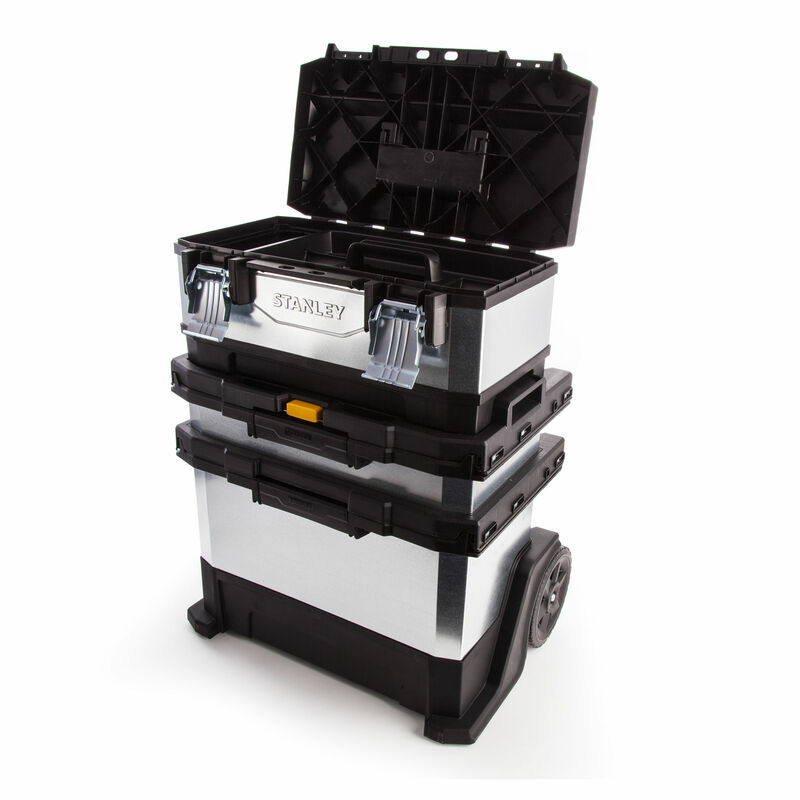 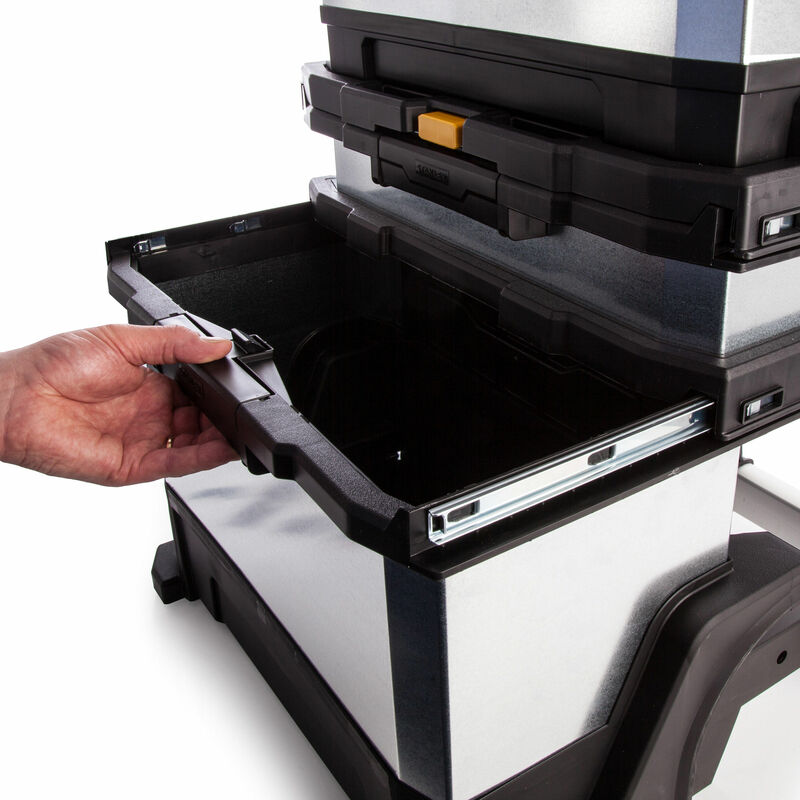 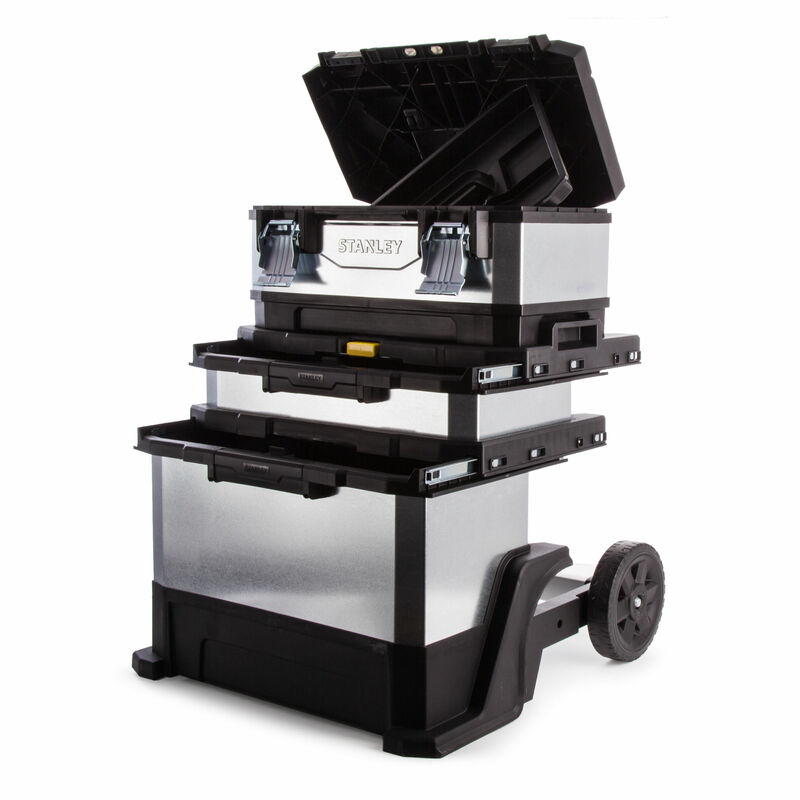 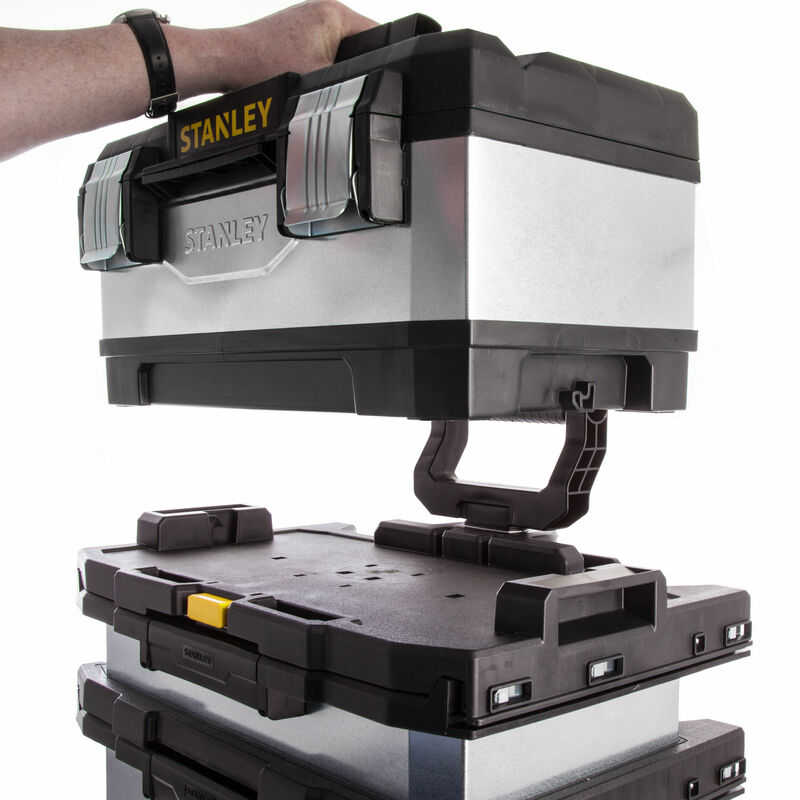 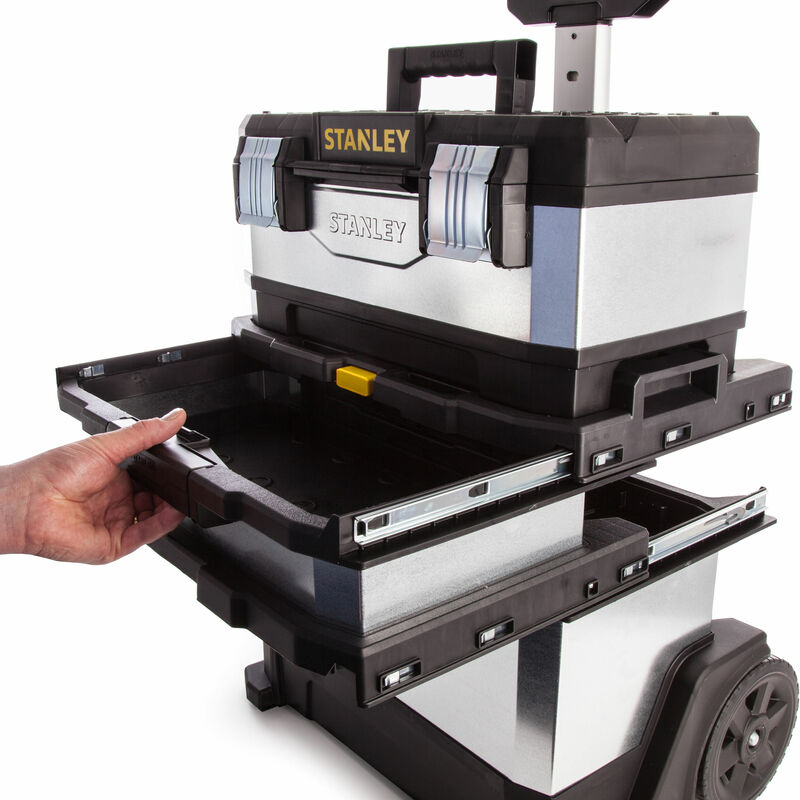 The Stanley 1-95-833 galvanised metal/plastic rolling workshop has a 20in detachable metal plastic top tool box, that includes a portable tray for small parts and hand tools. 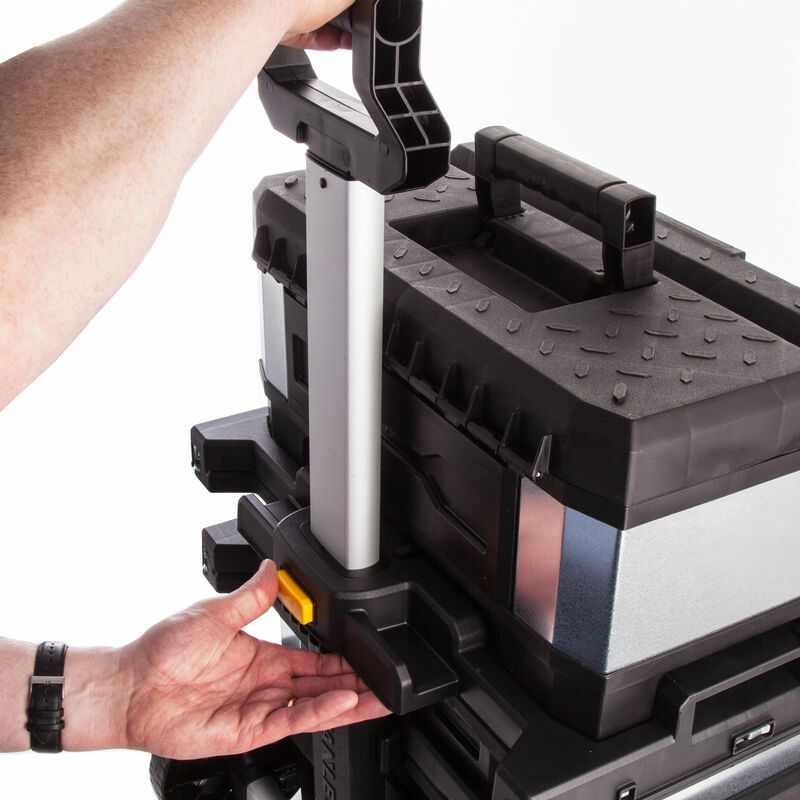 It separates easily by pressing the front push button. 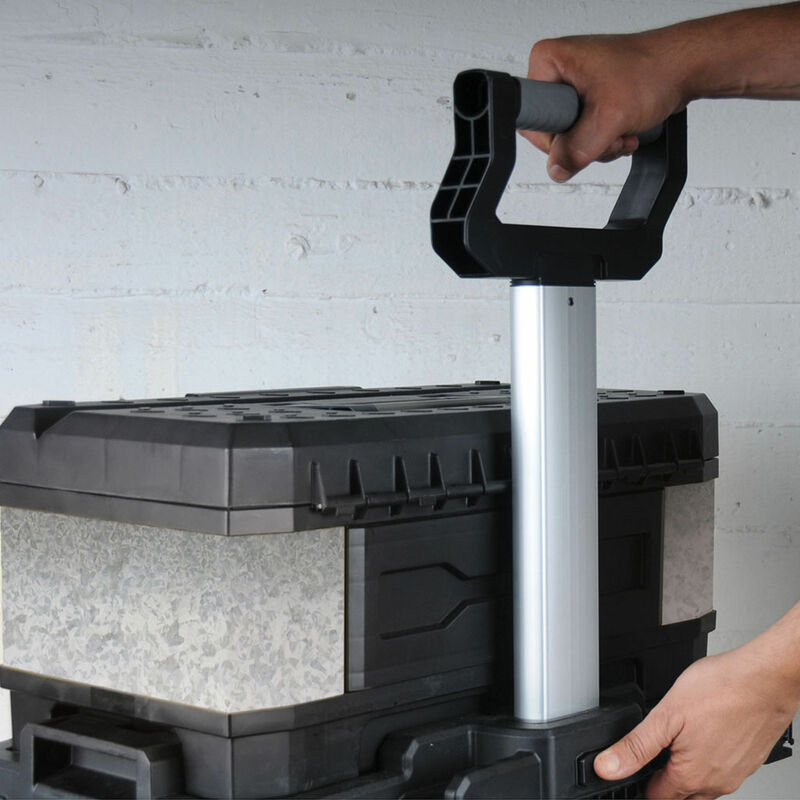 It has a telescopic handle and large wheels that allow for easy maneuverability.